One of the best ways for creative professionals to get more exposure for their work is to get published in a magazine, blog, or just any art publication. But that’s surely hard to come by. These publications also serve as good resources to learn about their respective fields, which is why these places make a great spot to get one’s work published. We have listed some of the prominent resource websites where photographers, illustrators, designer, and painters can submit their work. 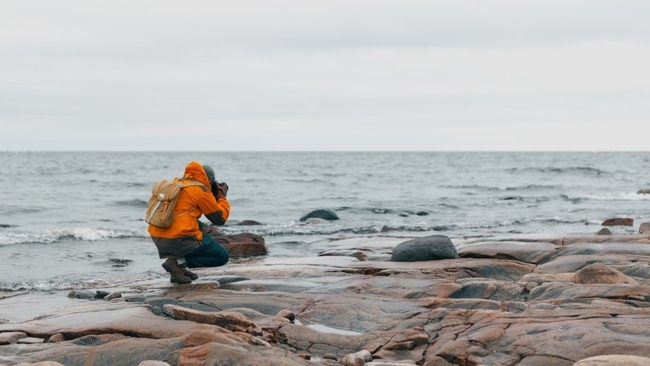 If you’re a photographer, it’s highly unlikely that you haven’t heard of this humongous community of photographers, but it’s likely that you do not know that it’s a great platform to get your work seen. In short, Fstoppers, with its huge repository of photography resources (all coming from top photographers) and a channel to get exposure through one of its many featured groups, is an invaluable resource for photographers. PetaPixel is one of the most popular communities for photographers. This website frequently publishes camera reviews and other photography related equipment in addition to featuring work from brilliant photographers. To submit your photographs to PetaPixel, contact them on their submissions page. Feature Shoot is run and managed by Alison Zavos, a former photo editor, and a photography curator. She now manages Feature Shoot full time. With a brilliant team of art and photography curators, Feature Shoot curates some of the best photographic projects from around the world. The website features work from all genres of photography--fine art, still, portraits, lifestyle, travel and others. Photography Spark is run by Dave. Though it doesn’t feature photographs, it offers photographers to share their expertise in marketing their talent. It serves as a great resource for photographers to get better at marketing their work. You can submit articles to Photography Spark via their contact us page. 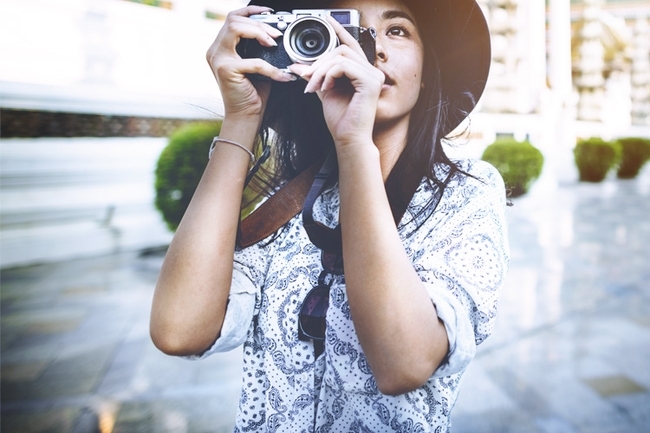 This website regularly publishes camera reviews and photography tips that make it ideal for beginners who are looking to improve their photography skills. Led by Chris Gampat, this website serves as an excellent resource for photographers and often features award -winning photographers. You can submit photographs via writing an email to editors@thephoblographer.com with the subject line "Photography Submission: (Your Name)". 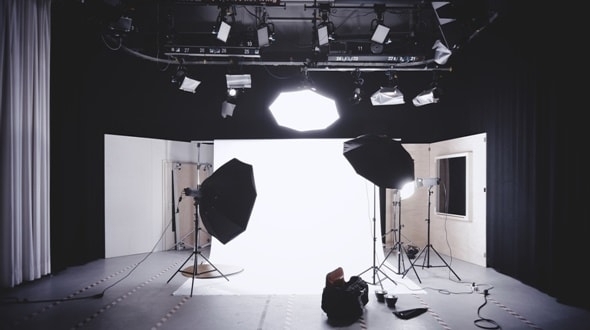 The Phoblographer requires photographers to follow certain guidelines while they submit photographs that you can read here. Founded in 2003 by Christy Karpinski, F-stop is an online photography magazine. The issues come out twice in a month and every issue is based on a unique theme. You can submit photographs to this magazine by sending an email to fstopmagazine@gmail.com. However, submissions are accepted based on the theme the magazine plans to explore next. So remember to check the upcoming theme and guidelines before sending your photographs. Published eleven times a year, Outdoor Photographer is a popular resource for nature, sports, and travel photographers. This magazine takes the traditional approach for submissions, asking photographers to send photographic prints, or high-quality inkjet printouts via mail rather accepting digital files. Conceived in the year 2010 by three photographers, SYN Magazine features work of stylists and fashion photographers from around the world. You can submit photographs to this visual publication by sending an email to submissions@syn-mag.com and ensure that the photographs are not published elsewhere both online and print. While online submissions should be directed to jack@syn-mag.com. PH Learn offers over 600 tutorials on Photoshop, Lightroom, and Photography for creatives in all phases of their career. While several of the tutorials are free, you can take a paid subscription to get unlimited access to all the tutorials on retouching, compositing and more. Creative Boom is an online magazine and was founded in 2009 by Katy Cowan in 2009 out of her sheer love for art. This magazine covers every form of art including photography, illustration, design, craft among others. You can submit your photographs to Creative Boom by an email to submissions@creativeboom.com. Read about their guidelines to submit your work here. Yes, that’s boom with eight ‘Os’. Boooooooom was started as a personal blog by Jeff Hamada-- a Japanese and Canadian artist. From art to videos, this blog shares everything with its readers. You can submit your art to this creative community via tweet or on their Facebook page. Unlike other art communities, this one also takes submissions for videos which you can submit here. Colossal is one of the prominent art blogs on the internet. Whether you’re a sculpture, painter, craftsman or a photographer, you submit your work to Colossal by writing to them at tips@thisiscolossal.com. The team at Colossal requires you to send a brief email telling them about your project accompanied with pictures as large as 1000px wide or larger. Read the guidelines to submit your artwork to colossal. This website features photography, art, illustration, design, and even work from multimedia artists. To publish your work on It's Nice That, you can either share a link to your portfolio website or upload your files to WeTransfer and share the link to on the submissions page. iGNANT, founded in 2017, is an award-winning online art magazine. In addition to featuring inspirational and ingenious work in the fields of art, fashion, architecture, design, and photography from around the world, this publication produces valuable editorials. To get your work featured on this online magazine, submit your photographs on their submission page with a small description of your work. Artistic Moods is run by Sandra Apperloo-- a Dutch art curator and blogger. She has been running this popular art blog since 2013. Sculpture to art, Sandra covers everything on her blog. To submit your artwork to Artistic Moods, send an email to info@artisticmoods.com. Juxtapoz is an art & culture magazine. If there’s one thing that artists and art enthusiasts flock to for their regular dose of inspiration, it’s an art magazine. Juxtapoz has a massive following, given its great content. To get the eyeballs of its readers to your work, the magazine requires artists to contact the team by filling out this submissions page while the photographs need to be sent by file sharing apps like Dropbox, Wetransfer or any other. Contemporary Art Daily shares news of exhibitions around the world. So If your work is being showcased at an exhibition make sure that it’s shared on Contemporary Art Daily. A point here worth noting is that Contemporary Art Daily only accepts requests for exhibitions-on-view. Send a PDF with exhibition details along with installation views and a checklist in case of a group exhibition to submissions@contemporaryartdaily.com. Brown Paper Bag is run by Sarah Barnes, she is a practicing Illustrator. She shares exceptional illustrations from talented artists on her blog. You can submit your work by tweeting to her at @brwnpaperbag or via an email to sara@brwnpaperbag. Cross Connect Magazine is devoted to discovering new talents in the field of arts. This community features paintings and illustration of emerging talents every day. You can approach the team at Cross Connect Magazine to feature your artwork by submitting links to your portfolio on their submissions page. As the name implies, this website is dedicated to illustrations and features bold illustrations from established as well as emerging illustrators. Their weekly Comics Illustrator of the Week is a prominent feature that you should aim to be a part of. Artsy Shark was founded by Carolyn Edlund and publishes individual portfolio articles on artists three times every week. Artists can apply to be featured during Call for Artist Submissions which happen several times per year. You would mainly see interior design and architecture here, but it also features fashion and art. You can submit your work to Design Milk by email sent to info@design-milk.com. In your email, attach a few photos of your design (or a download link), include a small description of your work, and a link to your website. Design Boom features futuristic designs. A look at this online magazine nearly transports you to the future with its avant-garde grade designs. You can submit your designs to Design Boom via this registration form. 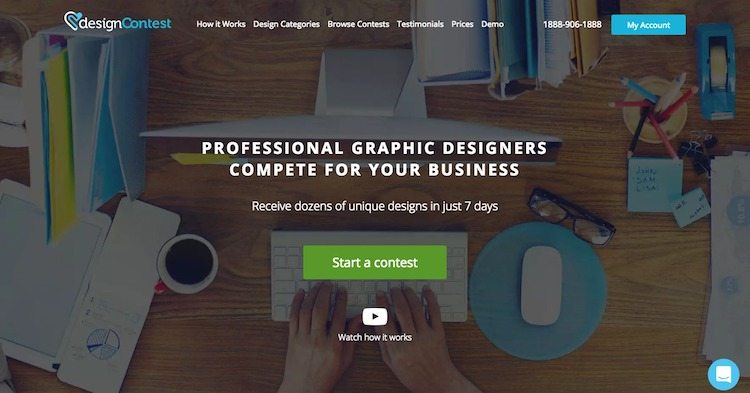 Design Contest lets you pitch for thousands of client projects and win them by competing against other designers. Cleints post their project and you can pitch for it with your designs. Clients decide who wins the design contest. Yatzar is one of the few websites that features industrial, fashion, interior designers and artists all at one place. It was founded in 2007 by Greek interior designer and now has become one of the top websites in the design industry. To submit your design to Yatzar, send an email to info@yatzar.com along with the photographs that are at least 2560px wide. Founded by a Croatian graphic designer, The Design Blog has gradually become a curated website from a personal blog that was meant for inspiration. This website features work from ambitious emerging and young designers. To be featured on this blog, share your project details on this submission page. Founded by Irish graphic designer, David Airey, this website features graphic design projects that are mostly related to brand identity. If you're a graphic designer and would like to share any stories related to your projects, you can send an email to hello@idenitydesigned.com with images that are not less than 1260px. This photo blog was created by two British graphic designers-- Jonathan Ring and Bethany Baker. Apart from sharing good designs, it regularly features design contests in collaboration with lifestyle brands. You can submit your designs via tweet @designclever_ or by an email at hello.designclever@gmail.com. You can also submit your designs to Design Clever using this submission form. Form Fifty-Five was founded in 2007 by a group of design aficionados with the aim to curate and share the best in the design community. To share your designs with them the team here, simply tweet a link to your designs. 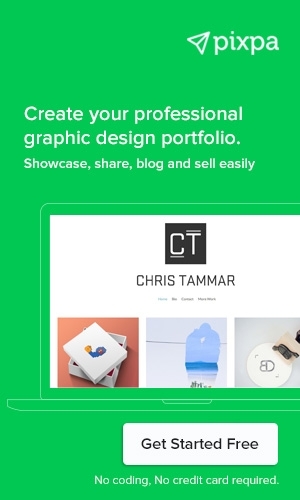 Ready to build your artist portfolio website? Get started here, free for 15 days!